ColdFusion's move to java gives developers and system administrators a wealth of performance tuning options. This is due to the fact that the runtime for ColdFusion is now pluggable (the JVM), we don't have to rely completly on Macromedia to make performance optomizations, we can use different JVM's and lots of different JVM settings to improve the performance and scalibility of our ColdFusion Applications. This is a topic I haven't seen much discussion about yet, and I'm not sure why. What JVM should I use? You have lots of choices, IBM, Sun and BEA all make JVM's, each will perform differently. Which is the fastest? I couldn't tell you, it will depend on your server platform, and your application. Sun being the creator of Java, has the most popular JVM, but if you are really concerned about performance you should test with each vendor's JVM. The Volano Report - a benchmark, this report is 9 months old. Spec JVM98 Benchmark - reports are kind of old, but you can buy the benchmark software and run your own tests on your system. Tuning Garbage Collection - currently this doc is for 1.3.1, the sun jvm 1.4.1 includes an additional garbage collector, a concurrent gc which is suspossed to work well on multi-processer servers. Tuning Threads - this deals only with Solaris because you can choose different threading models on Solaris. Big Heaps, and Intimate Shared Memory (ISM) Big Heaps stuff applies to all platforms, the ISM is solaris only. 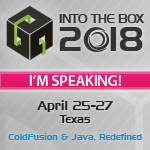 I haven't had the time to do any JVM testing on ColdFusion MX yet, but if you have I'd love to hear about your experiences email me pete@cfdev.com. Pete, Your links here are pretty helpful. I just recently went to new york to help a client solve problems related to the dreaded Java.lang.OutOfMemory error which is in large part to lack of good degault settings in the Jrun.xml for the scheduler (and somewhat for the proxy) service. Alot of people who are getting these errors mistakenly think its only a JVM issue but its a jrun.xml settings issue but tuning the JVM can really increase performance, reduce the out of memory errors and in general make more people happy. Some time this weekend Ill blog all my results as well as my general rules and ideas on JVM tuning for CFMX. Good information! I am looking to dig into CFMX threads, so that I can see specific code executing. I know that we can issue dumps of a stack trace; however, I am looking for something a bit more easy to implement in a production environment. It seems to me, that I should be able to see CFMX programs run in real time. I can see the individual threads, but not the underlying code that is executing. We are running CFMX 6.1 and have been for almost four years without any problems at all. However, lately we see high CPU usage with threads stacking up. We can communicate with all Databases, but the threads still stack during peak load time. Any thoughts on a tool or existing Java methods I can use to acquire more information?